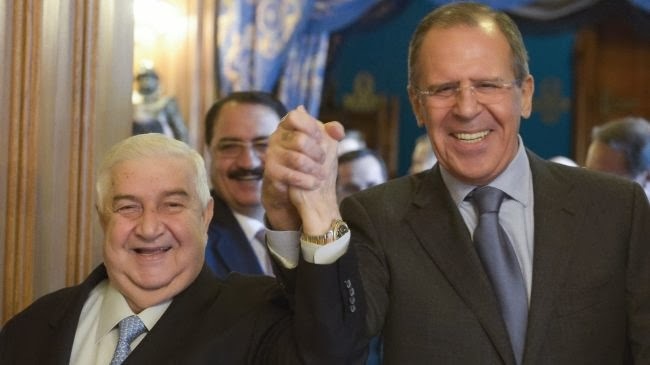 Syrian Foreign Minister Walid al-Muallem said today Damascus has presented Russia with a plan for a ceasefire in Aleppo, ahead of the upcoming Geneva II peace conference. The top Syrian diplomat also expressed his country’s readiness for an exchange of prisoners with the opposition as part of the truce proposal. The Syrian peace conference, dubbed Geneva II, is scheduled to open in Montreux, near Geneva, on January 22. How odd, first time Sergei Lavrov is smiling to the camera.